The Olympic torch will be carried right through our neighbourhood, passing along Station Road when it comes to Harrow. The torch will be borne through the borough on Wednesday, July 25, starting from Harrow Museum at Headstone Manor at about 9am. It will be carried along George Gange Way and into Station Road, passing by both ends of Rosslyn Crescent and the top of Woodlands Wood. The torch will be in Harrow for an hour and 20 minutes. Events will take place along the route with Harrow Council due to announce details of these activities, and where to watch, nearer the time. The Queen and Prince Philip will be popping into Harrow on Thursday, March 29, when they will visit the UK’s first Hindu school in Edgware. Residents are being encouraged to line the route and give the royal couple a wave when they visit the borough as part of their Diamond Jubilee tour. The Queen is expected to arrive in Harrow at about 2.45pm. The royal car will drive slowly down Camrose Avenue from the Edgware Road. Big screens will be erected outside Krishna Avanti school so no one misses the action. 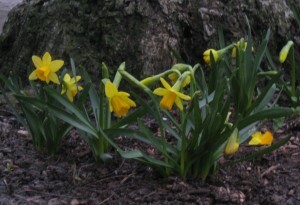 Daffodil bulbs planted by HCRA volunteers are bursting into bloom. 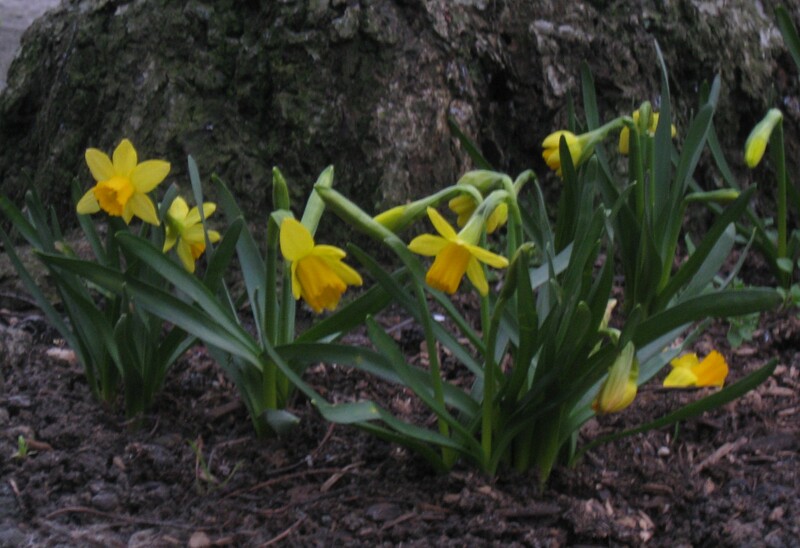 This is the second year association members have planted bulbs under trees in our three roads with this year’s flowers paid for from HCRA funds. The association is also working with local councillors and shops to get more new trees and flowers planted in our neighbourhood this year. HCRA is planning a street party to celebrate the Queen’s Diamond Jubilee on Tuesday, June 5, and wants to hear your suggestions. We have put together a quick online survey to help us gather feedback on the location and content of the event. Volunteers from Harrow Civic Residents’ Association will be calling on neighbours this weekend as part of our Big Door Knock. We will visit all homes in Rosslyn Crescent, Frognal Avenue and Woodlands Road to tell people about the association and to invite everyone to a fun street party. HCRA members will be doing the rounds on Saturday 11 and Sunday 10 and on the evening of Tuesday 13. The Big Door Knock is a chance to introduce ourselves, recruit new members and raise awareness of events such as our annual “dump run” on April 21 and the street party on June 5. We’re keen to hear you concerns about the local neighbourhood as well as your thoughts on our party to celebrate the Queen’s Diamond Jubilee. We’ll be handing out a short questionnaire about the party, which will also soon be available to complete online on the Street Party page of this website. Harrow has seen a surge in the number of empty homes being burgled, according to police. Thieves have been breaking into empty properties and stripping them of copper piping and other items that can be sold on. Police are asking residents to let them know about any empty homes in their area so they can keep an eye on them. If you know of an empty house in the Greenhill ward then contact the Greenhill Safer Neighbourhoods Team on 020 8721 2780.